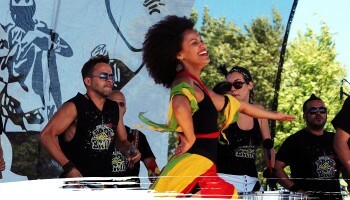 Toronto’s premier samba reggae band! 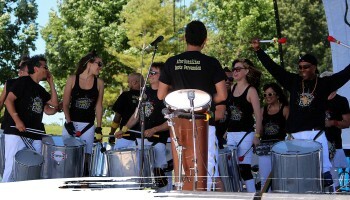 TDot Batu is a tightly knit Afro-Brazilian percussion batucada inspired by the power and dedicated to the study of the rich rhythmic tradition born out of the fusion of samba and reggae from Salvador, Bahia. As integral part of the Toronto Tropical music scene we collaborate with members of the arts and music community to create spectacular participatory celebrations that reflect the vast color and energy of Brazilian culture. Tdot Batu, All for you! 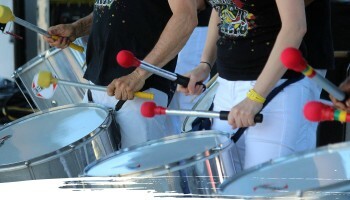 Learn how to drum or invite us to your next community or private event. We bring the heat to any party! We pride ourselves on our music and presentation and are available for private events to which we can contribute energy, professionalism and grand spectacle. With its mix of bass-heavy grooves, razor-sharp rhythms and colorfully coordinated movement, TDot Batu brings Brazilian swagger to your event. We run workshops for both beginners and more advanced players. Here we foster community, discipline and open-ended learning in a fun-loving atmosphere.